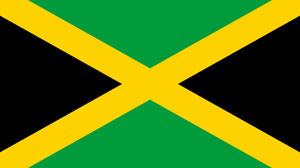 Perhaps better known for its reggae music than as a hub of online trading, so are the Jamaicans dancing to a new tune? Binary trading in Jamaica is seeing widely escalating growth as more and more of the unemployed citizens realize there is now an option to make money from the comfort of their homes. Yet other Jamaican nationals use this trading type for a second income to supplement their existing incomes. It is indeed a complex wave of bureaucracy when it comes to financial market regulation in Jamaica. Binary options trading in Jamaica is presently an unregulated activity. There is no law prohibiting binary options trading in Jamaica as is the case in Israel, Belgium and Turkey. Therefore, Jamaican binary options traders can easily locate an offshore broker to work with. Opening an account directly from the online form located on the webpage of an offshore broker is the way to go. It is in the trader’s best interest to trade only with companies that are licensed and regulated in the countries where they are domiciled. Here is a list of regulated and trustworthy brokers that you can work with. The regulation of the financial markets in Jamaica is the responsibility of the Financial Service Commission of Jamaica. The regulatory purview of the FSC covers the local stock market, the insurance sector and the pensions industry. The FSC was principally setup to ensure that the collapse of the banking and insurance sector of Jamaica which occurred in the mid-1990s did not occur again. The Financial Services Commission (FSC) was brought to life by a law known as the Financial Services Commission Act of August 2001. This law provides the legal backing that the FSC requires to administer the regulation and supervision of securities companies. insurance companies, all agents of the companies operating in these industries, brokers, securities dealers, pension fund administrators, trustees, retirement schemes, mutual funds, and all investment managers. Approving, granting, cancelling or suspending licences. Assume temporary management of all entities it supervises if the need arises. Perform competence and integrity checks of senior officers working in supervised entities. Review of corporate data such as annual returns. However, the FSC does not make any mention of the regulation of binary options. There is very little information of the presence of any binary options companies in Jamaica. Most Jamaicans involved in the binary options industry usually trade with offshore brokers, especially with brokers that are located in countries such as St. Vincent and the Grenadines as well as the British Virgin Islands. The close proximity of these island nations to Jamaica make the brokers registered in these countries the natural choice of most people who are performing binary options trading in Jamaica. Binary options traders in Jamaica who want to make deposits to offshore brokers can do so. However, they are limited to making deposits within the foreign exchange transfer limits that are set by the monetary authorities for foreign currency transfers. Bank wires: Jamaican binary options traders can make use of bank wires to deposit and withdraw funds from their accounts. Several Jamaican banks offer online banking options which make this process very straightforward. Credit/debit cards: Jamaicans can use credit or debit cards issued by MasterCard and VISA as well as a few international prepaid card options. It is also possible to use a local ATM debit card which is linked to a bank account for making card deposits and withdrawals on a broker’s platform. Acceptance of these cards will depend on the terms and conditions of usage as stipulated by each individual binary options broker. Digital Wallets: Apart from the usage of digital wallets such as Skrill and Neteller, Jamaicans can also check to see which binary options brokers allow the use of local digital wallets on their binary options platforms. Is it legal to trade binaries in Jamaica? Yes. Trading binary options is allowed in Jamaica, as there is no official government circular or legislation that prohibits it. However, those who want to perform binary options trading in Jamaica have to work with offshore brokers, as there are no local binary options brokers in the country. What are the most popular destinations for Jamaican binary options traders? The offshore brokers located in nearby islands of St. Vincent and the Grenadines as well as the British Virgin Islands are the most patronized of all offshore brokers targeting Jamaican binary options traders. Are binaries regulated in Jamaica? No. Binary options are not officially regulated in Jamaica. How to trade binaries in Jamaica? Due to the legal restrictions on foreign ownership of investment, banking and insurance companies in Jamaica, there are virtually no foreign brokers with offices in Jamaica. To carry out binary options trading in Jamaica, Jamaicai traders must trade with offshore brokers.